Structure holds the top of the stack along with some free reusable nodes. Definition at line 167 of file util-decode-mime.h. Definition at line 169 of file util-decode-mime.h. 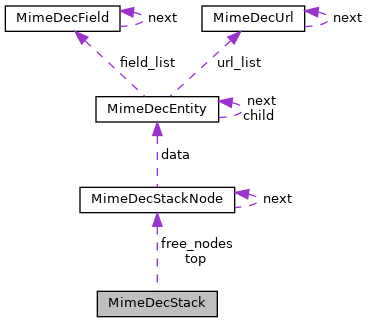 Definition at line 170 of file util-decode-mime.h. Definition at line 168 of file util-decode-mime.h.